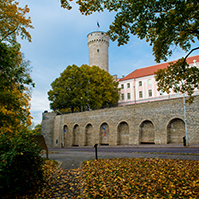 The Riigikogu passed with 84 votes in favour the Local Government Council Election Act and Local Government Organisation Act Amendment Act (831 SE), initiated by the Government of the Republic. The Act enables rural municipalities and towns to merge during the period between the regular elections. The Riigikogu passed with 61 votes in favour (11 against) the Act on Amendments to the Citizenship Act, Punishment Register Act and State Fees Act Arising Therefrom (883 SE), initiated by the Government of the Republic. The Act makes amendments to the procedure for granting citizenship on the grounds of special merits. The Act also regulates the procedure for granting Estonian citizenship to the persons convicted for criminal offences and the system of definitions is harmonised. The Citizenship Act is brought into conformity with amendments in the Aliens Act and with a new revised version of the Citizen of the European Union Act. Proceeding from amendments to the Punishment Register Act, the State Fees Act is also amended. 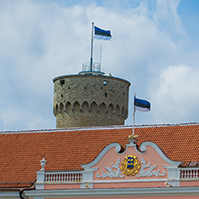 The Riigikogu passed with 85 votes in favour (1 abstention) the Act on Amendments to § 13 of the Administrative Cooperation Act (885 SE), initiated by the Estonian Reform Party Faction, Estonian Centre Party Faction and Estonian People’s Union Faction. Non-profit associations, consisting solely of local government units dealing with refuse collection, are exempt from fulfilling the requirements of the public procurement. 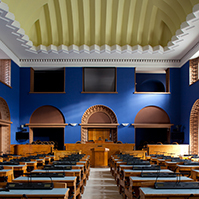 The Riigikogu passed with 81 votes in favour the Artificial Insemination and Embryo Protection Act Amendment Act (835 SE), initiated by the Estonian Reform Party Faction, Estonian Centre Party Faction and Estonian People’s Union Faction. The purpose of the Bill is to increase the birth rate by providing assistance to childless couples who have no possibility to conceive naturally, but who cannot take advantage of artificial insemination due to lack of material resources. The Riigikogu passed with 85 votes in favour the Narcotic Drugs and Psychotropic Substances Act and Their Source Materials Act Amendment Act (899 SE), initiated by the Government of the Republic. The Act creates conditions for the limitation of illegal supply of narcotic drugs and psychotropic substances and their source materials, and for more efficient control over supply. The Act eliminates the conflicts with directly applicable regulations of the European Union. The Act enables to better protect public health, to avoid illegal narcotic drugs and psychotropic substances and their source materials release into circulation. 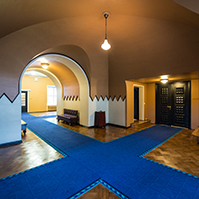 The Riigikogu passed with 86 votes in favour the Basic Schools and Upper Secondary Schools Act, Private Schools Act, Vocational Educational Institutions Act and Pre-school Child Care Institutions Act Amendment Act (828 SE), initiated by the Government of the Republic. The Act organises the internal assessment and consulting in educational institutions. 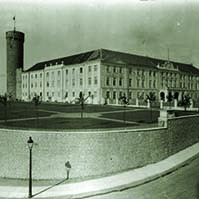 Pursuant to the Act, the purpose of the internal assessment is to ensure the conditions that support the development of pupils and consistent development of schools, ascertaining strong points of schools’ activities and the spheres which need to be improved, and elaborating an action plan on this basis. Proceeding from the named purpose, schooling and education and management will be analysed and their efficiency assessed. State supervision over the schooling and education will be exercised by the Ministry of Education and Research or a county governor of the school location upon relevant orders from the Minister of Education and Research. 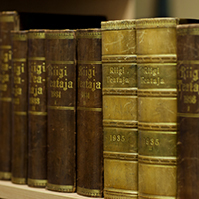 The Riigikogu passed with 76 votes in favour (3 abstentions), in the second legislative proceeding, the Foreign Relations Act which the President had refused to proclaim. On the motion of the Foreign Affairs Committee, several amendments were introduced in the Act concerning the President’s activities in foreign relations. The Foreign Affairs Committee made its motions to amend proceeding from legal clarity of the Act. The Riigikogu did not pass the Resolution of the Riigikogu On the Formation of the Riigikogu Committee of Investigation for Ascertaining the Errors in Management of the Public Limited Company Werol and for the Investigation of Privatisation Circumstances (925 OE), submitted by the Isamaaliit Faction, Res Publica Faction and Social Democratic Party Faction.